Plain old sticks and metal prongs are boring. 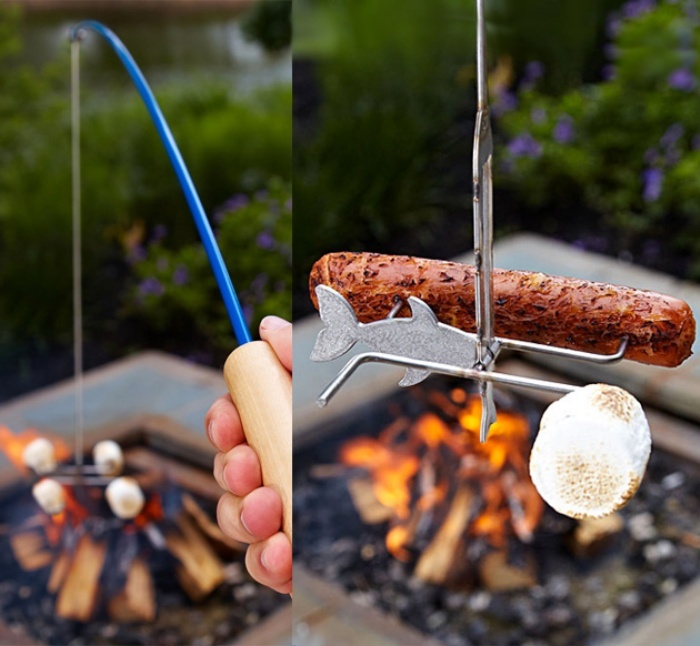 If you want to roast marshmallows, hotdogs, sausages, and other stuff over the bonfire, then do it with the Campfire Fishing Rod and go fishing instead. So your mom might’ve taught you not to play with fire or with food, but this is one instance where doing both at the same time won’t get your in trouble or put anyone in harm’s way. The roasting stick is made up heat-resistant wooden handles and a stainless steel line with roasting hooks at the end. No bait required. Just pierce veggies, marshmallows, corn, sausages, and whatever else you want to roast and cast out your line into the fire. The Campfire Fishing Rod is priced at $29.95.